This painting is one of a series of fish paintings that had its beginnings in 2011, after we moved into a house with 2 small fish ponds. Watching the fish swim around is probably one of the most calming and relaxing things I do, and I now understand the attraction of large indoor aquariums with their colorful inhabitants, swimming around effortlessly in a swirl of color. In the middle of working on this piece it changed from being about pond fish to ocean fish, as I used images from Instagram as my inspiration. Using the fish lovers’ images from Instagram and taking a few trips to the aquarium store has revived my interest in all of the life that takes place under the water. 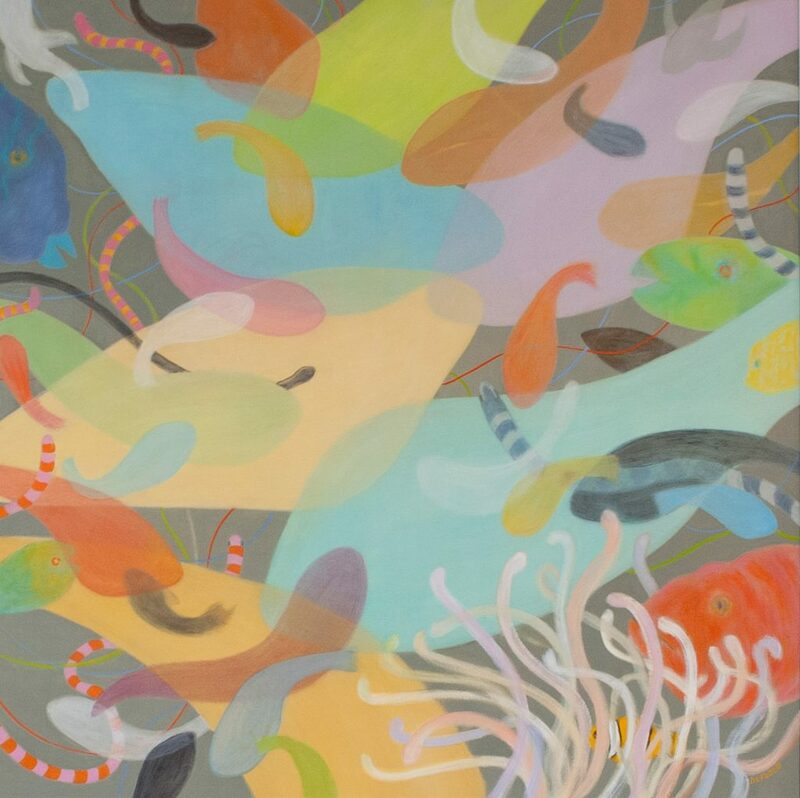 “Nado Partido” translates to “Swimming Party”, because that is what these fish and the sea snakes in my painting are having!